The Hotel Taft designed by F.M. 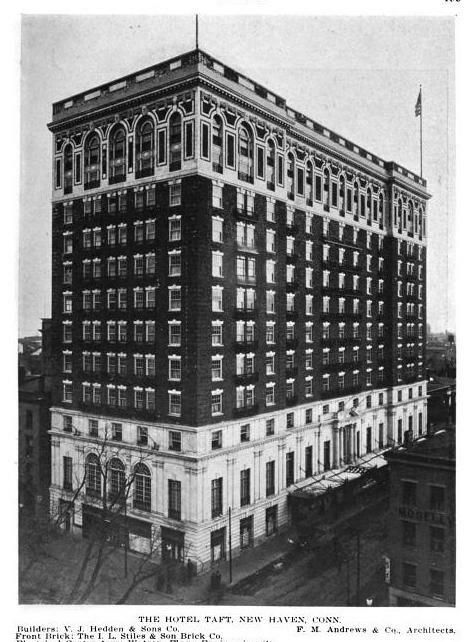 Andrews & Co. c. 1912 in New Haven, Connecticut. 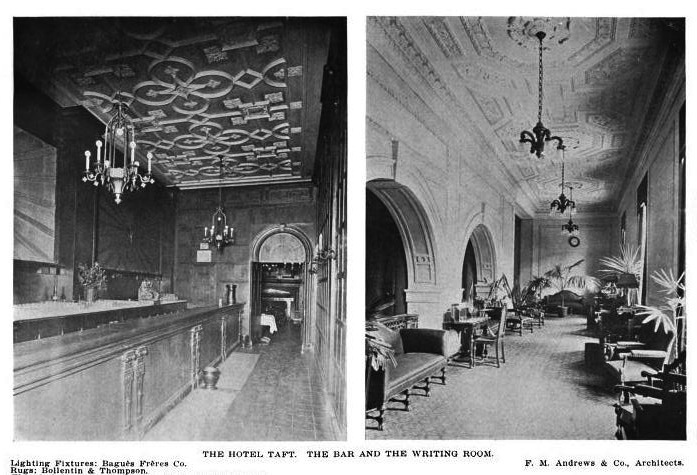 The Taft was the fifth hotel built by the New Haven Hotel Company and was named after one of the investors, Horace Taft, who was headmaster of the Taft School in Watertown, CT. President William Howard Taft resided in the hotel for almost a decade following his presidency while he was teaching constitutional law at Yale. 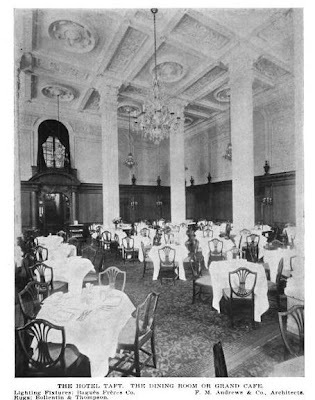 In the early 1980s the building was converted to apartments. 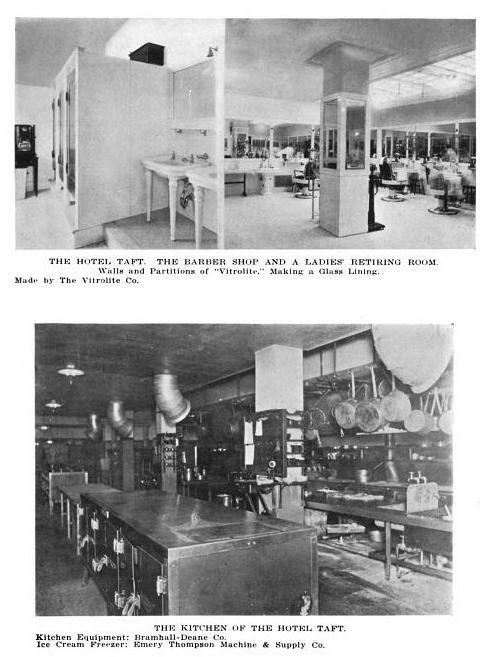 Click HERE for more on the Hotel Taft and HERE to see the building on google street view. 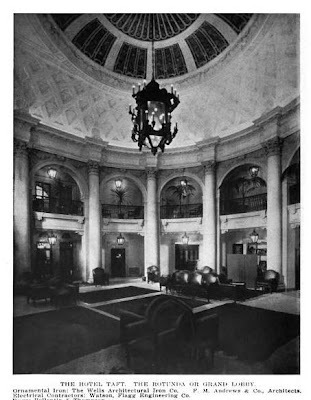 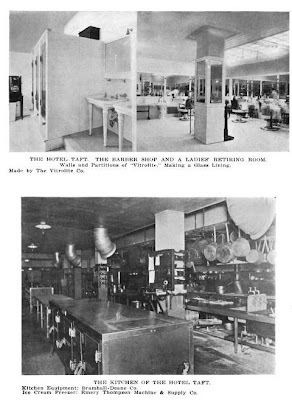 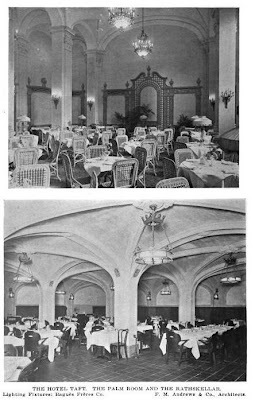 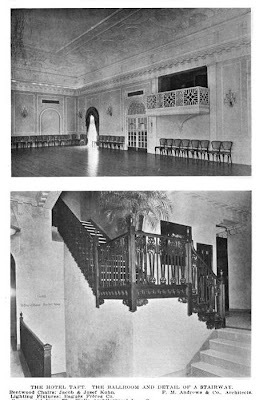 Photos from Architecture and Building, 1912.